The below schedule is an example of a Greyhound trip. It says there are zero transfers on the route. 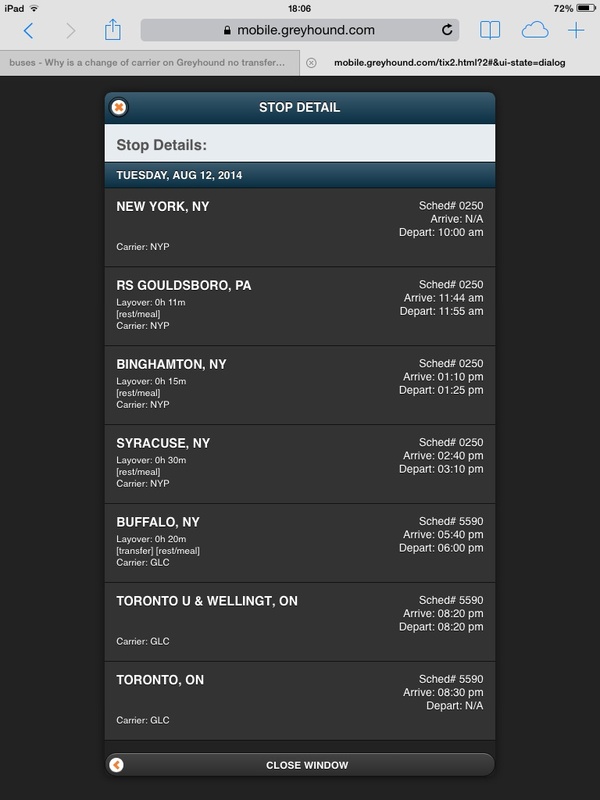 However, when looking at the schedule, I see that there is a change of carrier and schedule. Does it mean you have to physically change buses, or do they only change the sign? It probably has to do with crossing the border, but what happens there? I did a quick search and whilst the display you are looking at does not specifically show a transfer, it does indicate a change of carrier, which is a good indication that you will have to disembark and board a new coach.